How to update or correct any inaccuracies in the personally identifiable information that you provide to IndieDev Games. IndieDev Games require registration to download and use the App. During the registration process, you will be required to provide certain personally identifiable information. Personally identifiable information means information that can be used to identify and contact you such as your name, email address, password, postal mailing/delivery address, payment method, and telephone number, as well as other information when such information is combined with your personal information. At your option, you may also provide demographic information such as your gender or age, but this information is not required. IndieDev Games may use and disclose this demographic information in aggregate form only in accordance with the “Aggregate Information” section below. In addition to the personally identifiable information that we collect from you during the registration process, we may collect data about you that you voluntarily provide to us via email or other communications from you. to a successor entity upon a merger, consolidation or other corporate reorganization in which IndieDev Games participates or to a purchaser of all or substantially all of IndieDev Games’s assets. The App may track aggregated data about its users in order to determine the percentage of male and female users, the age range of users, and other relevant data. IndieDev Games may analyze this data for trends and statistics in the aggregate, but such information will be maintained, used and disclosed in aggregate form only and it will not contain personally identifiable information. We may use such aggregate information to analyze trends and for statistical purposes related to consumer preferences, target advertising and promotions and gather broad demographic information for aggregate use. IndieDev Games may also disclose aggregate information to third parties for those third parties’ marketing purposes on the App. IndieDev Games recognize the privacy interests of children, and we encourage parents and guardians to take an active role in their children’s online activities and interests. The App is not intended for children under the age of 13, and we endeavor not to collect any personally identifiable information from children under the age of 13. The App is targeted to adults and not to children under 13. While individuals under the age of 18 (but at least 13 years of age) may utilize the App, they may do so only with the involvement of a parent or legal guardian. IndieDev Games may employ procedural and technological measures to safeguard the confidentiality of your personally identifiable information such as firewalls, storing password hashes and secure socket layer. Such measures are reasonably designed to help protect your personally identifiable information from loss, unauthorized access, disclosure, alteration or destruction. Unfortunately, no security system can be guaranteed to be 100% secure. Accordingly, we cannot guarantee the security of your personal information and cannot assume liability for improper access to it. By using the App, or providing personal information to us through any means, you agree that we can communicate with you electronically regarding security, privacy, and administrative issues relating to your use of the services. 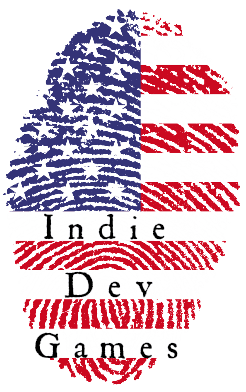 IndieDev Games provides you with the ability to review and correct any of the personally identifiable information that you have provided and to delete your user profile by contacting IndieDev Games at the following e-mail address: unsubscribe@indiedevgames.com.